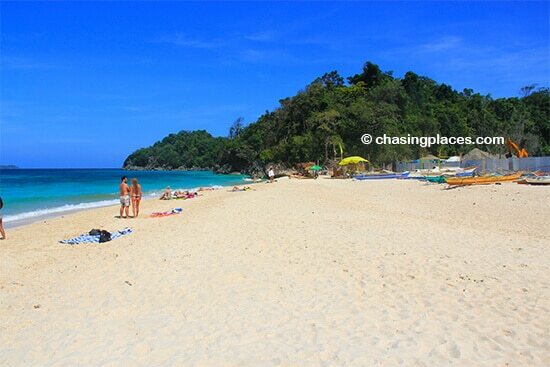 White Beach is the best known beach on Boracay Island and has the most accommodation options. But there is another stunning beach that you should definitely check out. This beautiful serene spot is called Puka Shell Beach, also called Yapak Beach. 1. It has a unique sand texture. 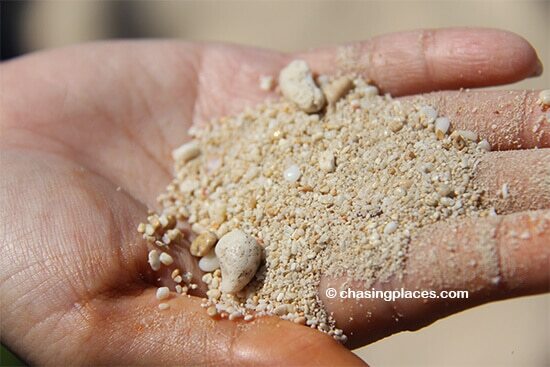 “Puka Shell” has become more widely used to refer to the beach because of the abundance of crushed “Puka” shells mixed in within the white sand. This is why walking on Puka Beach is a distinct experience, but don’t worry, the sand is still smooth on the soles of your feet. Well, it is a different kind of beauty. Puka Beach’s water is clear and unpolluted, but it quickly gets deep (in comparison to White Beach) once you walk out a few meters from shore. This makes it a perfect beach for some serious swimming. At certain times, the water can get rough and the current strong; conditions that are more risky for inexperienced swimmers. 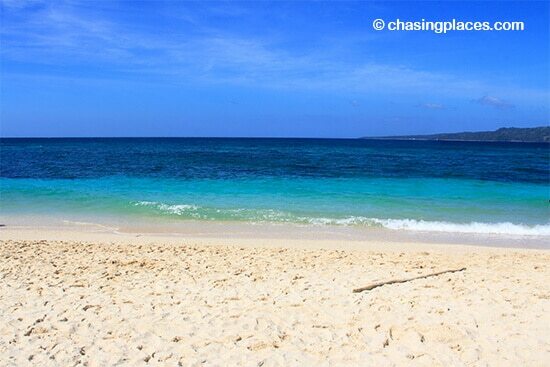 Puka Shell or Yapak Beach stretches for roughly 800 meters, enough space to find a nice cosy spot for you to hang out. Perhaps the only thing that we could criticize about Puka is that it lacks an abundant amount of natural shade. You have to go far back to seek protection under the palm trees. You can rent out beach chairs from local vendors but it is not that cheap, by Southeast Asian standards. 3. It is usually quieter than White Beach. Puka Shell Beach is long, but has less development. It does not have a plethora of clubs, resort and hotels like White Beach. Thus, the atmosphere here is more serene, and more authentic. 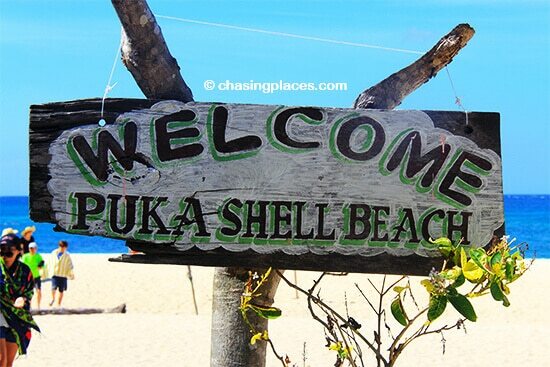 Puka Shell Beach is a public beach, so you don’t have to pay an entrance fee to access it. We really hope it will remain this way for the years to come, especially because it has been growing in popularity. There are no shower facilities or lifeguard services on this beach. 5. You can certainly have a picnic here. There are some stalls and restaurants on the beach that sell drinks, snacks, souvenirs, and coconuts. But if you plan to hang out here for the whole day, it’s smart to bring your own drinks and food, and of course, a mat or sarong to lay on. It is okay to drink and eat on the beach, just as long as you clean up before leaving. 6. Come here with the intention of relaxing. Aside from swimming, there’s really nothing much to do but just relax on the sand (soft shells) while getting your much-desired tan. This is the perfect place to do some serious reading too. 7. It is just a few minutes away from some hotels. There are no hotels on Puka Shell Beach itself. I believe they are trying to preserve this area. However, there are three to four-star hotels located in Baranggay Yapak, which is a short ride to Puka Shell Beach. One of the closest hotels to this beach is Alta Vista de Boracay Hotel. The ultra-luxurious Shangri-La’s Boracay Resort and Spa is also close to Puka Beach. Some tourists prefer to stay in Baranggay Yapak because of its more peaceful, relaxing and secluded vibe. 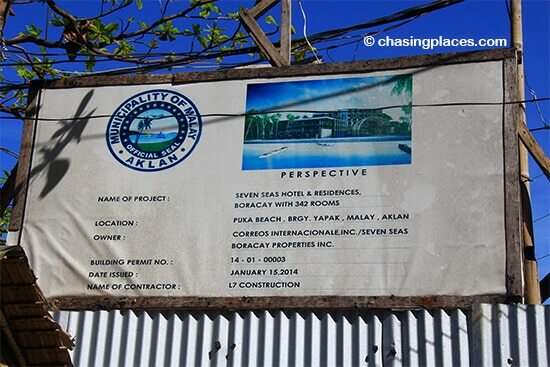 Times are changing around Puka Beach with nearby developments in the works. Visit sooner than later. 8. It is one of the key destinations for boat tours from White Beach. Most basic boat tours offered on White Beach offer Puka Shell Beach as one of their stops. This is the perfect option if your time on Boracay Island is limited as the day tour allows you to visit top attractions within 4 hours. This is, of course, not the best option if you truly want to relax on Puka. Going on this kind of tour will give you just enough time to walk the stretch, take photos, and perhaps, swim a bit. 9. Sunset here is magnificent. Stay on Puka Shell Beach right before the evening sets in, and you will be treated to an undisrupted view of the sunset. It is definitely worth the wait! There is obviously a massive selection of properties to choose from on Boracay due to its popularity. Our strategy before we made it to the island was to find a room that was close enough to White Beach so that we could access the nice restaurants and services in the area, while still being far enough away from the pulsating disco sounds at night. Eventually, we decided to stay at Hannah Hotel. We have no affiliation with the hotel, so our unbiased review of the place is quite positive. It’s a clean, family owned, mid-range property that’s only about 200 meters from White Beach. We would recommend it, but if you’re a big eater you might find their breakfasts a bit small. At the time of writing it had a very respectable score of 8.3/10 based on 461 verified guest reviews. How to find the best room deals on Boracay? What airport should you fly into to reach Boracay? Well that depends on a few things. Technically, there are two airports that visitors to Boracay can choose to fly into: Kalibo (airport code KLO) and Caticlan (airport code MPH). Kalibo, is an ‘international airport’ and it has a longer runway than Caticlan. Subsequently, larger planes and more tourists fly into Kalibo. Kalibo, is however, roughly 1.5 to 2 hours away from Boracay Island. Caticlan typically has only ‘prop’ planes landing there which are not as safe. But it’s very convenient being only a few minutes away from Boracay’s ferry terminal. We have created a very detailed and popular article on how to fly from Manila to Boracay if you want additional information regarding flights to/from Boracay. Overall, Caticlan is more expensive to fly into, but it’s more convenient. What’s the best way to get the cheapest flights to Boracay? I have a plan to go to Boracay is gonna be my first time, Im not sure were to start my question is: Is to expensive to go there, how about the hotels don’t need to be high class or luxury I just want to spend my last vacation in the Philippines any idea I mean I really dont know how to get there yet, my plan to visit there is May please advise thanks. Boracay has a wide range of accommodation and dining options that suit a wide range of travelers. You can go there on a budget or splurge if you want. You can use Agoda or Booking.com to check out the accommodation facilities that suit your budget. May is an official summer month when school is out, so expect White Beach (main beach) to be busy. If you want a bit more peace and quiet, then book your accommodation around Station 1 or Bulabog Beach, which on the opposite side of White Beach. Boracay’s White Beach is a party beach and is a great place to meet people. But if you are willing to venture to other beaches (hike or take a boat), you will find quieter spots. To get all the necessary travel info on Boracay including how to get there, please check out our comprehensive guide: https://www.chasingplaces.com/boracay/ Please like our facebook page: https://www.facebook.com/chasingplaces.net to support and stay connected with us. We wish you a wonderful and memorable trip! What if we want to overnight in Puka Beach, are they allowing tourist to bring tents? Puka Beach is a protected area. As far as I know, tourists are not allowed to put up tents on the beach front. I am not sure if you are allowed to do so at the more forested area at the edge of the beach. But this is not a common practice. The local government of Boracay Island is known to be strict in conservation. Might as well book a room for the night. Do recommend going to boracay? Im getting mixed reviews from other sites that its too touristy and crowded. We wlll be about 6 girls in our 40s close to 50. Hope its a good choice for us. Would love some insight.